The future is wireless. The future is now. Though the Focal Listen Wireless aren't the best value when it comes to Bluetooth, over-ear headphones, they're comfortable, aptX-compatible, and provide 20 hours of playback. If you need headphones that are durable, the V-Moda Crossfade 2 Wireless Codex are the cans to get. They’re MIL-STD-810G tested and if something does go awry, you’re covered by V-Moda’s Immortal Life Program. 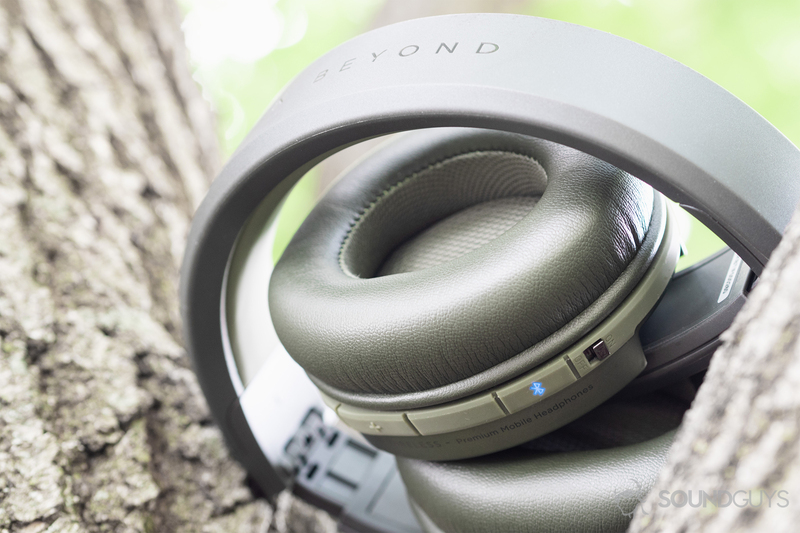 While the Beyerdynamic Amiron Wireless aren't perfect they're without a doubt one of the better sounding pairs of Bluetooth headphones you can get right now. Though its appearance is somewhat uninspiring, the Vortex offers excellent features like aptX-compatibility, a 20+ hour battery life, and stable connectivity. This is a rare breed of value-packed headphones. Next time you get on a flight, take a look around. I’m willing to bet that one of the most common types of headphones you’ll see are wireless headphones. We still have our doubts when it comes to Bluetooth headphones (especially Chris), but it’s hard to deny that Bluetooth has come a long way. Not only do some of the best wireless headphones sound great, but they also come with a number of useful features. Editor’s note: this list was updated on March 24th, 2019, to include new notable mentions and reflect price changes. If what you’re looking for is the absolute best wireless headphones to suit most listeners’ needs, check out the Focal Listen Wireless. These aren’t cheap, but they are a solid pair of over-ears with good sound, great battery life, and exceptional passive isolation. Plus, they’re slightly less expensive than a lot of the competition. The headband is made of sturdy plastic and, thanks to folding hinges, you can easily pack them away when you’re not using them. Though it’s worth mentioning that the ear cups don’t provide much horizontal rotation, so if that’s something you need, keep looking. As far as sound quality goes, Lily didn’t have too many issues. The low-end receives a bit of a bump to satiate consumers’ ears, and treble frequencies are overemphasized too. This results in perceived clarity and detail that we average listeners are used to. That said, the emphasis in both ends of the frequency response spectrum never impedes vocals, just another reason these are the best wireless headphones. Regarding battery life, listeners get 20 hours of constant playback. Not bad for anyone looking for a pair of headphones for their commute. On top of that, these have impressive sound isolation due to the large ear cups. If you don’t mind having a pair of headphones that are a bit bulky, the Focal Listen Wireless won’t let you down as the best wireless headphones around. The V-Moda Crossfade 2 Wireless Codex are subject to military-level MIL-STD-810G standards, ensuring durability throughout their lifetime. Aside from being some of the toughest headphones on the market, the Crossfade 2 Codex are versatile. AAC and aptX codec support in tandem with hi-res certified wired listening make these the most durable best wireless headphones for general consumers and audio enthusiasts alike. Beneath the exoskeleton case and steel exterior, the headphones are quite comfortable. Much of the comfort is attributed to excellent headband architecture and supple ear cushions. Be aware, though, you will feel the weight of these after listening for about an hour or so. Even if the style isn’t for you, the functionality and versatility of these headphones deserves to be lauded. Superb audio quality and durability aside, the layout of the controls is worth appreciating. Seeing as most circumaural headphones feature buttons that rest on the lateral edge of one of the ear cups, the V-Moda Codex house the playback and volume controls so that they’re aligned with the removable shield, thus forming an upside down V-shape. Aside from looking good, the placement makes the buttons easy to differentiate and find on the ear cup. For the past year this spot was occupied by the Sony WH-1000X M2 headphones, but now they’ve been updated with the newer WH-1000X M3. It’s no surprise that these reign as one of the best wireless headphones since they aren’t drastically different than their predecessor. You get the same design and touch-sensitive ear cups for adjusting volume and skipping between tracks. The two big differences between the WH-1000X M2 and its predecessor are that the newer models now have deeper ear cups which should help with isolation, and they charge via USB Type-C. The build materials of the ear cup are also upgraded. Gone is the fake leather of the previous model and instead, you’ll get a smooth plastic. Battery life is another key aspect of these headphones that got slightly better. If you pick yourself up a pair of WH-1000X M3 headphones you can expect to get a solid 24 hours of constant playback out of them. That’s with active noise cancelling turned on as well, so these will have your back even on the longest flights. Of course, the main issue that most people will have these is still the price tag, but if you do decide to invest in one of the best wireless headphones, you won’t be disappointed. When it comes to sound quality, you might not think of Bluetooth headphones. But Beyerdynamic proves that isn’t the case with its Amiron Wireless. These sound fantastic, and although the sound might not be for everyone, that soundstage alone makes up for you looking like Mega Man while wearing them. The padding is comfortable, and if you plan on wearing these for a while, you won’t feel suffocated at all. Unfortunately, they’re too loose and shaking my head causes them to fly off my head. So even though they’re Bluetooth, they might not be a great choice for commuters. Instead, these feel like they’d be ideal for people listening at home. Sure you can get a pair of headphones that sound better for cheaper if you opt for an open-back wired pair, but if you want the best wireless headphones, these are tough to beat. They have a few high-end codecs to like AAC, aptX, and aptX HD. Besides the sound quality, these also have a great battery life at roughly 30 hours of constant playback—one-upping the previously mentioned best wireless headphones. Additionally, the large plush earpads do a great job at passively blocking outside noise. If you want to enjoy your music without being bothered by the sounds of the people you’re living with, these are for you. Unless, of course, they’re obnoxiously loud. When it comes to finding the best wireless headphones, going the inexpensive route may seem counterintuitive. Luckily, Anker specializes in bringing good quality products at a lower price point, and the Anker Soundcore Vortex is no different. They may not have a premium design or be as well-built as some of the other options on this list, but they do have a bunch of great features that hold their own against the big dogs. For one, these are compatible with Qualcomm’s aptX codec for streaming in higher quality. They also have large, plush earcups for comfort and hinges to help them fold down for a smaller footprint when traveling. But the most impressive feature goes to the 20-hour battery life. If you’re not a fan of plugging in headphones every night to charge, then these might be for you. Who should buy the best wireless headphones? Commuters. If you spend a lot of time surfing buses and trains, then you probably like to stay occupied with headphones. Well, cutting the cord makes blocking the world out that much easier. Office workers. Let’s say you want a break from your cubicle but don’t want to engage in casual banter. Easy solution: grab a pair of wireless headphones. They notify others that you’re not up for talking without having to explicitly say so. Students. Getting around campus can be a slow, monotonous process. You might as well exercise your mind and learn a thing or two from your favorite podcast while going from the quad to your English seminar. Thick plastic constitutes the bulk of the Focal Listen Wireless headphones, which can be folded up for transport. For this particular list, there were a few things that took priority. First was the Bluetooth connection. I’ll be damned if we recommend a product where the connection skips every other song. In order to be in the running for this list, a strong connection was a must. After that came sound quality. At the end of the day these are still headphones, and you’re going to be using them to listen to music. Additionally, we took user feedback on battery life into account when weeding out products from our list. When we were writing our best Bluetooth earbuds best list, our readers made it very clear that battery life was the most important quality to assess after sound quality and comfort. Bluetooth by itself has a bad rep when it comes to sound quality, but it’s become way better over the years. So you can be sure that anything on this list had to at the very least sound good. Lastly, some of our decisions were made based on internal objective testing of the products with special software and microphones. The Sony MDR-1000X M3 have spectacular active noise cancelling, but what is it? And how does it work? You can dive deeper into this if you’re really curious to learn the science behind it, but if you don’t feel like dusting off your old textbook and want the TL;DR version then here it is. Tiny microphones built into the headphones pick up what’s going on around you and then play the opposite sound wave into your ear along with your music. Because the sound wave that’s produced by the headphones is basically the exact opposite of the one that’s outside of the headphones, it cancels out. Leaving you with just the sound of your blissful music. See? That wasn’t so bad. Science can be cool. 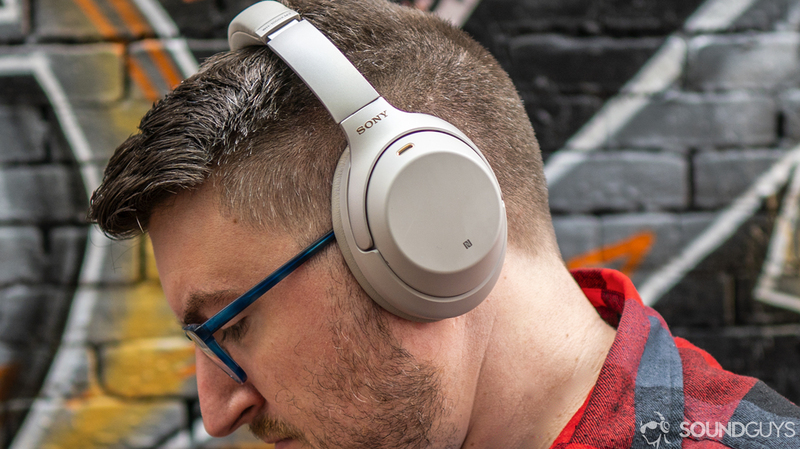 The Sony WH-1000XM3’s exterior boasts a soft-touch material. So you think you’re ready to dive a little deeper into what makes LDAC or aptX HD good? Get ready, there’s a ton of technical jargon and numbers we’re about to go over, but we’ll try and keep it relatively short. For a full breakdown make sure to check out this great article by Rob Triggs over at our sister site Android Authority. LDAC is supposed to be better is because it has a higher bitrate than the standard SBC codec, but our testing revealed that LDAC falls short of hi-quality claims. We’re still waiting to see if aptX Adaptive is going to be as good as it seems, but luckily any issues are increasingly hard to hear as we age because, sorry to break it to you, but our ears aren’t that great when we’re old. Represented is the max transfer rate (kbps) of each respective Bluetooth codec (greater is better). Each waveform depicts a transfer rate of 100 kbps. Even if your phone doesn’t currently support it, you should still get headphones that support these codecs anyway. Android 8.0 brings support for these wireless standards to lots of phones in the near future and assuming your headphones last longer than your smartphone does: your headphones will only sound better as the tech in your phone catches up. 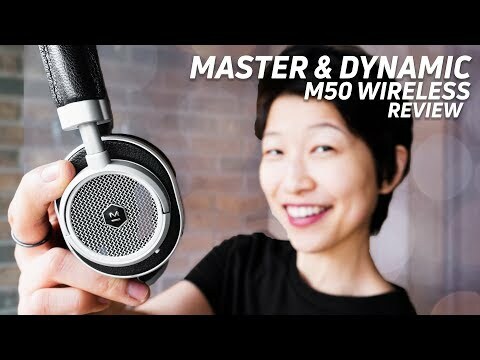 Master & Dynamic MW50 Wireless: Master & Dynamic is no stranger to great design, and the MW50 Wireless combine that attention to detail with a durable build and great sound. Bose QC35 II: These active noise cancelling cans are neck-in-neck with the Sony WH-1000XM2 and feature a noise-rejecting, dual-mic system for clear voice recognition. Sennheiser HD-1: The HD1 headphones are more-or-less a rebrand of the Momentum Wireless headphones we reviewed back in the day, and they’re just as good. Though we removed them from this list to make room for some of our more recent favorites, they’re still a force to be reckoned with. AKG N60 NC Wireless: The N60 NC wireless headphones sound good, are comfortable, and are super portable. Definitely worth checking out if you’re always on the go. Plantronics Backbeat 500 Fit: They’re not the prettiest but the Backbeat 500 Fit are inexpensive, have a great battery life, and could be the perfect companion for hitting up the gym. Sony WH-1000X M2: Just because there’s a newer version of these headphones available doesn’t mean that you shouldn’t consider the M2. They’re still a great pair of cans. Beyerdynamic Custom Game: This headset is great for gamers who want the option to take their gaming headphones to the streets. It includes a detachable boom mic and a selection of ear cup plates. Jabra Move Wireless Style Elite: If you’re in need of a pair of stylish, functional, and affordable headphones, this is your one-stop shop. While high-quality codecs aren’t supported, the headphones produce a surprisingly clear sound thanks to Jabra’s proprietary DSP and the headphones’ 40mm dynamic drivers. In addition to the fact that this site is all of our day jobs, Adam, Chris, and Lily have several years of reviewing consumer audio products under their belts individually. Having kept a finger on the pulse of Bluetooth speakers for several years allows us to be able to figure out what’s good, and what’s best avoided. Shaking my head a little sends the headphones flying off. Considering Chris’ burning hatred for Bluetooth headphones, if he approves of something—it’s damned special. In a similar vein, Adam has reviewed tons of these speakers over the course of almost three years, so he’s heard the best (and worst) of what the category has to offer. Then you’ve got Lily who has put in countless hours working at a radio station in a professional studio environment and even reviewed audio products on her own time before coming to SoundGuys. Needless to say, she’s passionate about audio gear.